Asbestos is a silica mineral that is made up of fibers that are strong and fire resistant. Used in a wide range of construction building materials and products, often as fireproofing. Asbestos appears in many locations especially homes built between 1940’s and 1970’s anything built after 1990 is unlikely to contain asbestos because it was banned from use. There are six different types of natural minerals found in asbestos (chrysotile, amosite, crocidolite, tremolite, anthophyllite, and actinolite. It’s typically found in old flooring, roof shingles, ceiling tiles, siding, flushing, insulation, around boilers, ducts, pipes, sheeting, and fireplaces. It’s not typical but, sometimes newer houses have contained it as well. Asbestos may be required to be removed when making major changes to your home or remodeling its complex process. Why is it we should be concerned about Asbestos? When asbestos material ages or gets damaged it releases micro fibers into the air that can be breathed deep into the lungs where they may stay for a time causing damage such as lung disease or cancer. Now, if you think there is Asbestos in your home don’t panic just don’t touch it. Look for signs of wear or damage such as abrasions, tears, or water damage. Please note that damaged materials could release asbestos fibers. Particularly if you hit, rub, or disturb it or exposure to extreme airflow or vibrations. If Asbestos is present it’s best to first and foremost call a trained and accredited asbestos professional to help you with testing, removal, and cleanup. Now that you have a general understanding of what asbestos is and where it’s found lets talk about the Do’s and Don’ts for you the Homeowner. Understanding these do’s and don’ts will help you if ever this type of issue arises in your home. DO: Leave the undamaged asbestos materials alone. DO: Keep activity in the damaged areas to a minimum especially children. DO: Stay cautious and try to avoid damaging infected area. DON’T: don’t dust or vacuum or sweep the contaminated area. DON’T: sand, scrap, drill holes, or saw in or near area containing the asbestos. DON’T: don’t uses abrasive brushes or pads on power stripper to strip wax from asbestos flooring. In fact, never use a power stripper on a floor containing asbestos. DON’T: don’t try to level or sand asbestos flooring or it’s backing. When it needs to be replaced install new flooring over it, if possible. DON’T: track materials containing asbestos throughout the house. If you cannot avoid walking through the site of asbestos have it cleaned with a wet mop first. 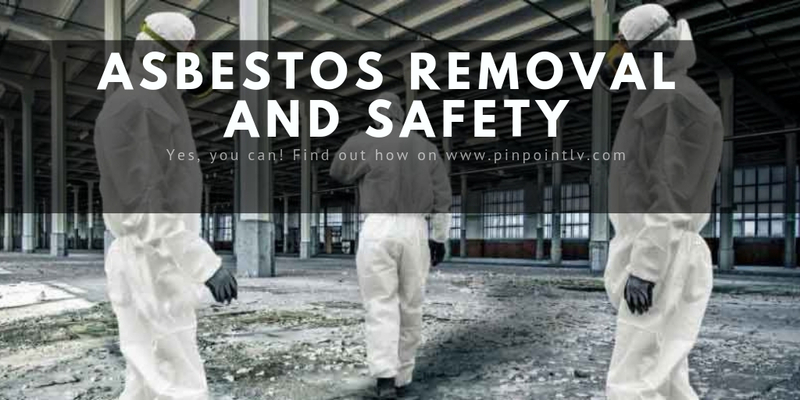 Here are few things you need to remember about asbestos if you choose to diy it instead of calling a professional although highly unadvised. Wear proper protective clothing e.g. overalls, preferably disposable, dust mask with EN149 with FFP2 filter is recommended. Keep materials containing asbestos wet to avoid producing dust. When cleanup is complete dispose of all cleanup materials double bagging and marking them clearly with a tag that says dispose of them as Asbestos removal waste. Again, asbestos removal and cleanup shouldn’t be taken lightly and should be taken care of by a professional. In most cases, it won’t cost you anything because it’s covered by most insurances. If you have any questions or concerns, contact an asbestos professional in your area and just let them do it for you. We are a local owned, trustworthy business with years of experience in Water Damage Restoration, Toxic Mold Removal, Emergency Packout, Asbesotos Removal and Leak Detection in Las Vegas.